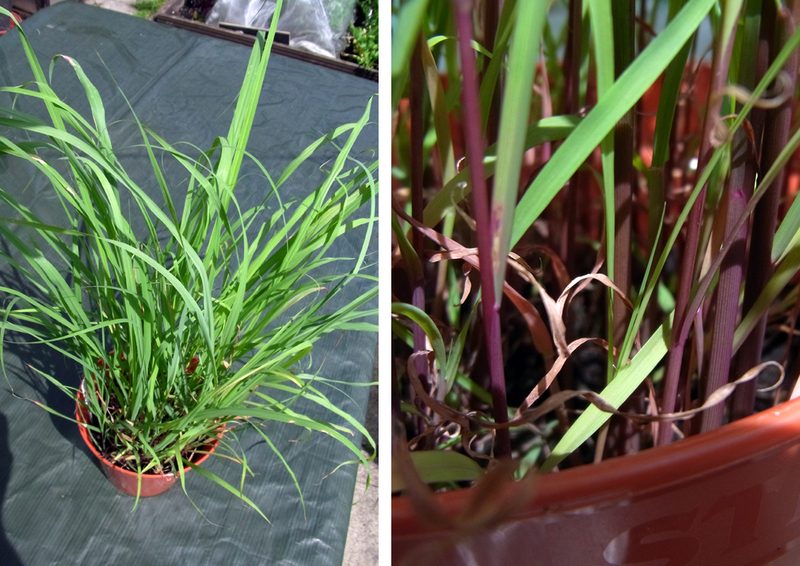 I’m trying to grow lemongrass again this year. Last year’s attempt floundered when a pot of young stalks didn’t survive the lower over-winter temperatures in a mini greenhouse. I’ll bring this year’s pot indoors later in the year. For now it looks pretty good, with tall blades and healthy looking purple stalks close to the soil. 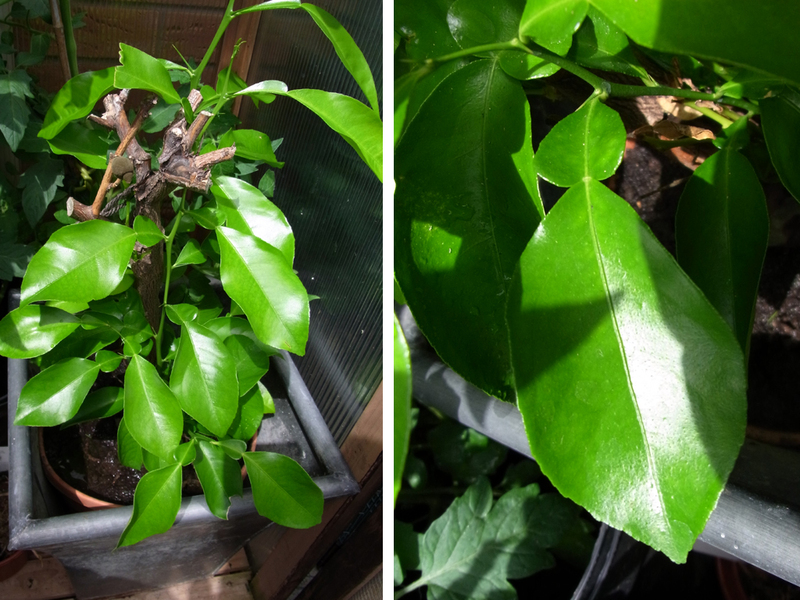 Similarly, a lovely little lemon plant all but perished in the winter, but come the spring it mounted a comeback by sprouting new leaves at its base. Today it’s thriving again. With dead branches removed it’s a picture of green lushness and sports those intriguing double leaves which some varieties have. Lemons seem to be able to flower and grow fruit whenever they want, given the right conditions, so who knows when there’ll be something to slice into a G&T. 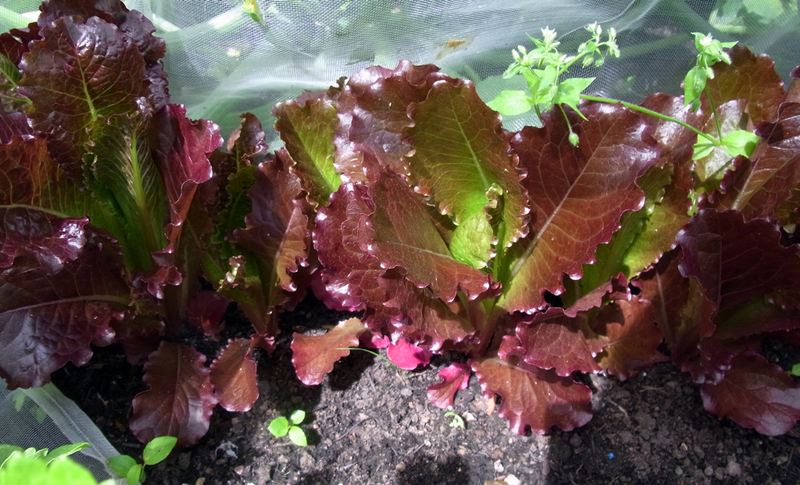 Having deployed anti-slug nematodes, I’ve been lucky so far to have several rows of healthy lettuce to pick from. The wonderful tightly frilled Mazur and reliable Little Gem are doing well, but how beautiful is the purple and green Rosedale. These are cos-style and will heart up into a lettuce that you cut whole and use promptly: a nice problem to have. Nature of course develops its own defences: one of this year’s courgette plants is a Romanesco and its leaves spread very wide, to the extent of blocking the light to some nearby plants. Grabbing a stalk to snip it off delivered quite a sting. 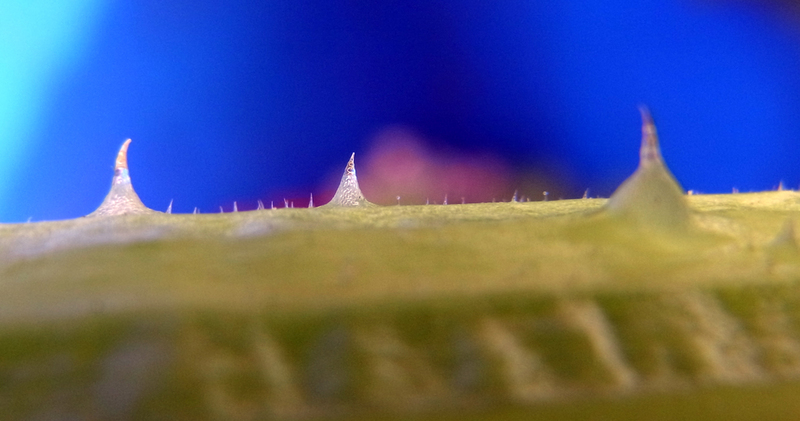 Some courgette stalks are bristly but this was far more noticeable. A close up photo revealed the pointed barbs. Next time I’ll break out the gloves. No wonder those courgette leaf stalks sting! The leaf crops are less able to protect themselves. 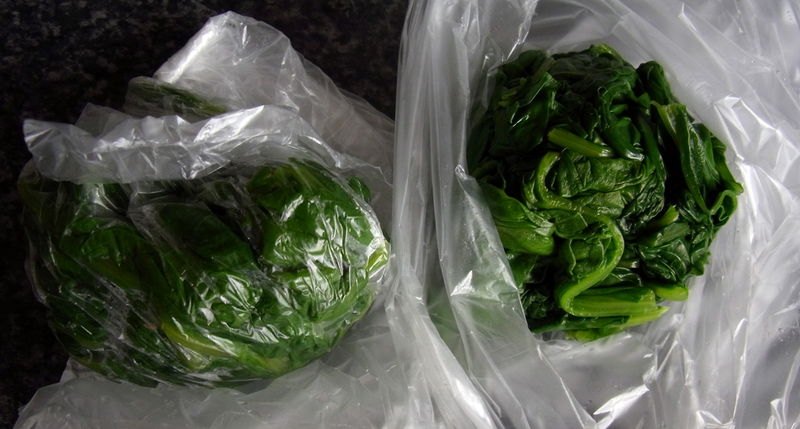 There was a bad attack of leaf miner a few weeks ago, spoiling the spinach plants and the leaves of the beetroot. 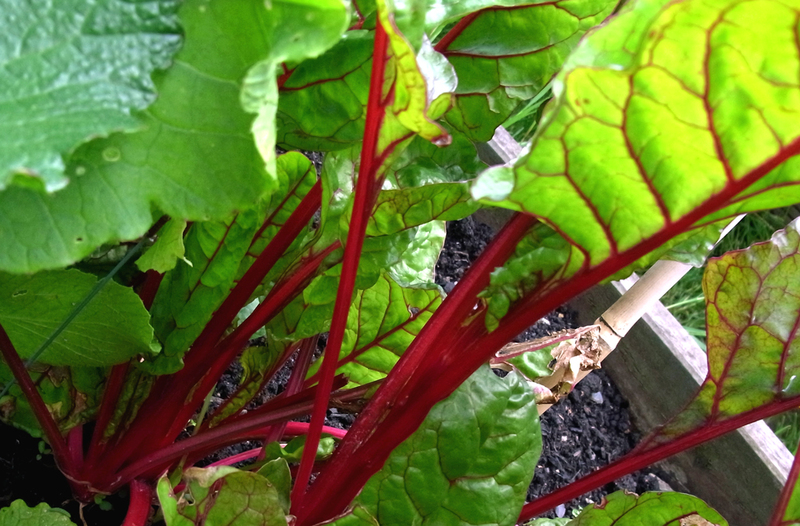 The spinach has fought back though, as has the red chard, to the extent that I picked a big bunch of perpetual spinach beet today. Wilted down, it’s now gone into the freezer in easy-to-use portions. With many plants flowering and fruiting, it can be a good time to add custom feeds to the watering can. 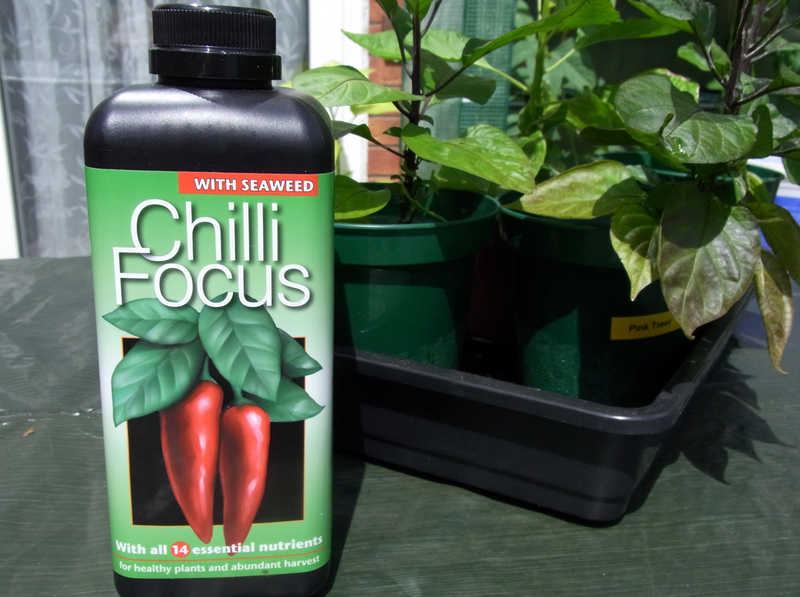 This year I’m trying to help the superhot chillis along by using Chilli Focus, a feed which has an NPK balance of 3:0/1:0/4.4 and throws in the ideal mix of different minerals to help plants thrive. The chillis do seem to have slowed right down, so hopefully they’ll respond to their new tipple. 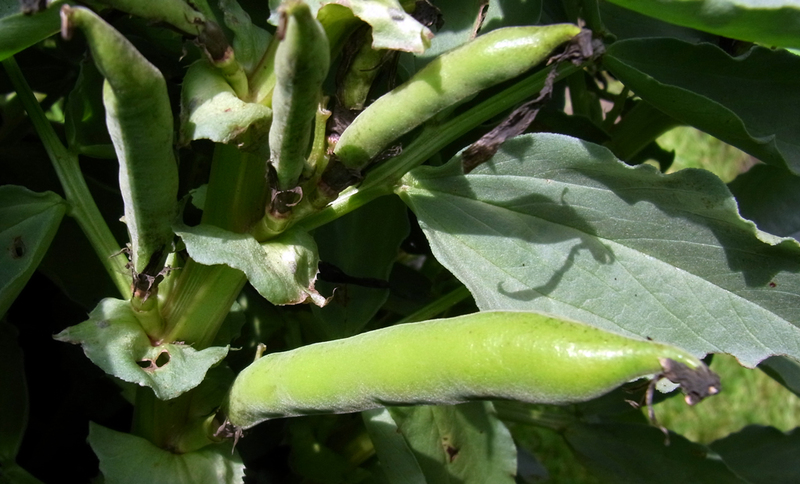 Nearby, peas and mangetout are available for picking and the bushy Sutton broad bean plants now have small pods on them. A few weeks more and the tasty beans will be ready for shelling. Now, did someone mention G&T?